A statement pussybow blouse that adds a feminine polished addition to your workwear wardrobe and is cut to fit petite women - no alterations needed. 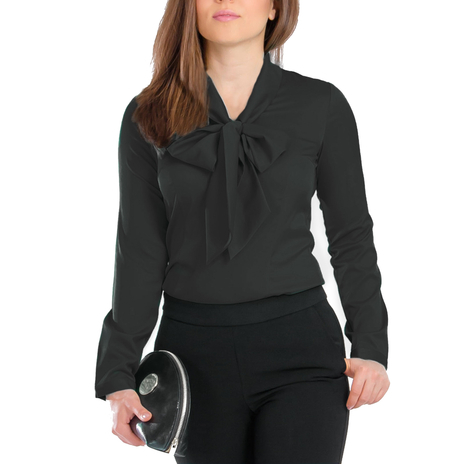 Voted IN by petites, this versatile black blouse seamlessly transitions from office to weekend wear. 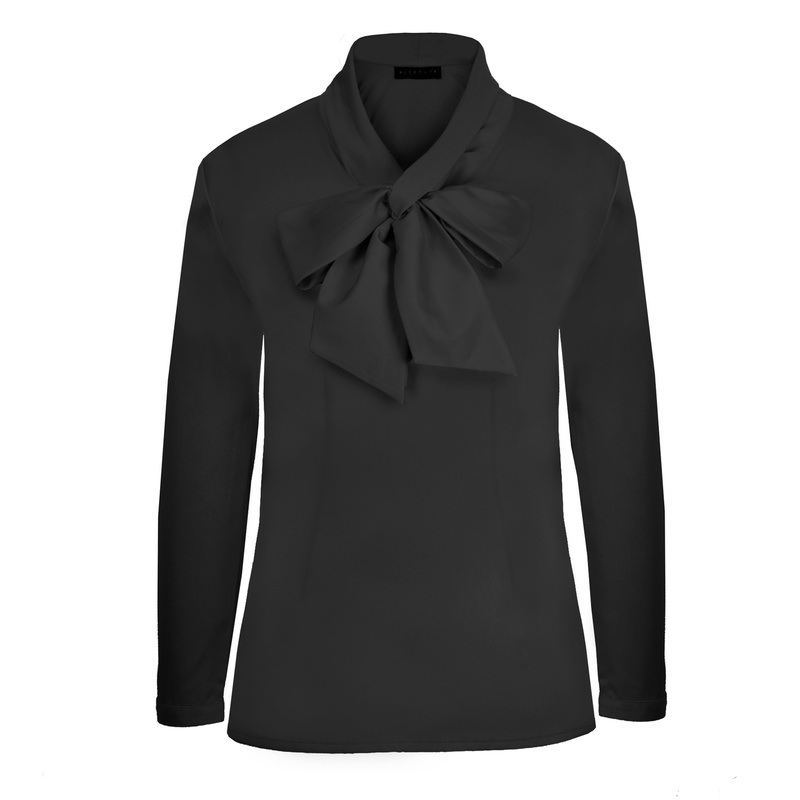 In a slightly fitted silhouette, this petite blouse features a V-neckline with tie detail and delicate buttons at sleeve cuffs. Clean cut, no buttons down the front, simple chic, just how you like it!